This is a small basket I learnt to make years ago. 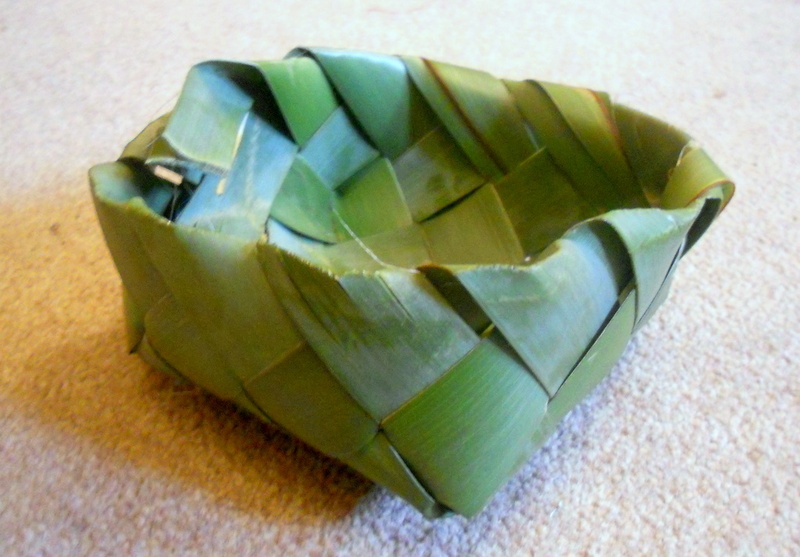 It is made from New Zealand Flax (phormium tenax) and is a traditional basket made by Maori's in New Zealand. I got the materials from Dundee Botanic Gardens when I was working there demonstrationg basketry with natural fibres at an open day they had. 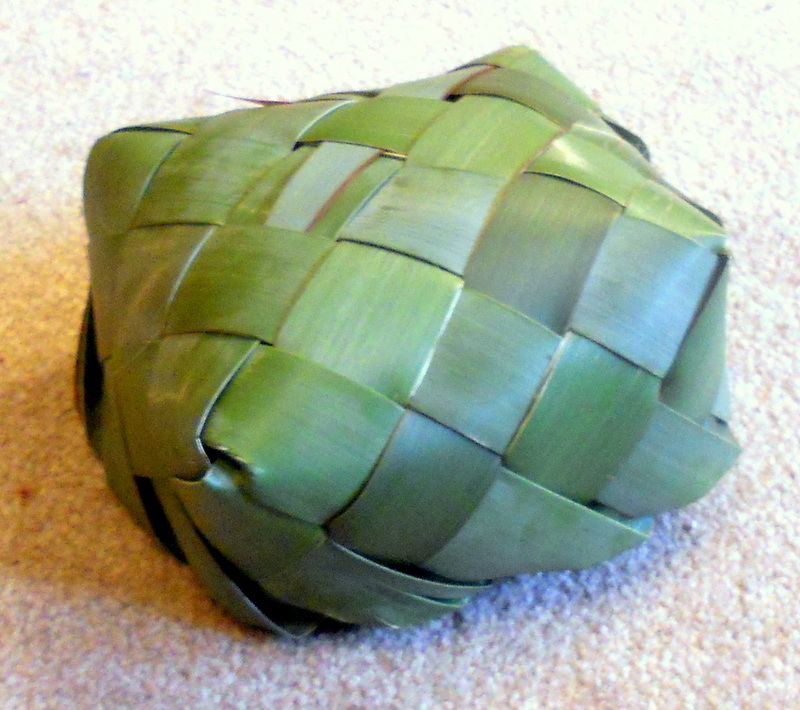 The long leaves are split into strips to make the basket. 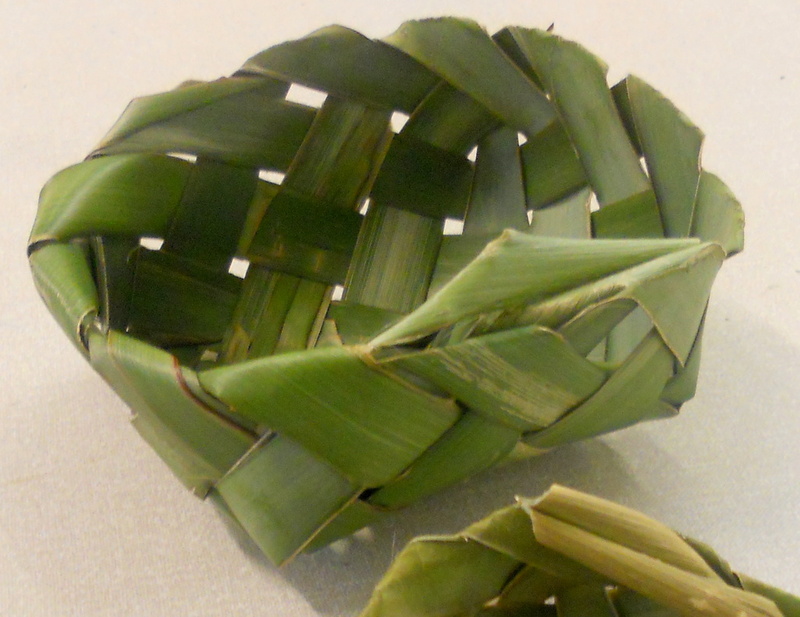 I was told by the person that taught me how to make this basket that it was used as a sort of disposable bowl. 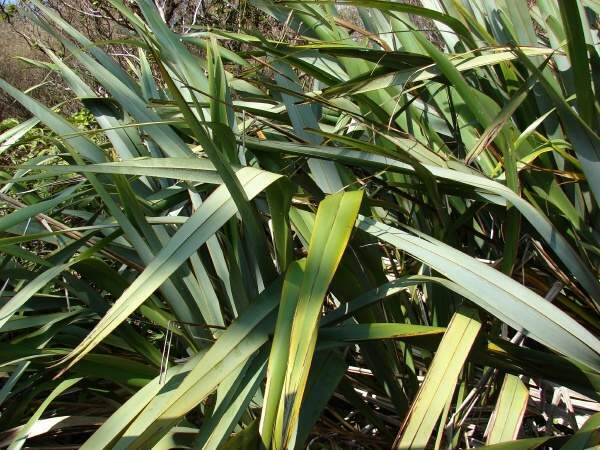 It is made fairly quickly with fresh leaves from the plant and can be used for eating out of. As it dries however the strips of the leaves shrink and the basket gets very gappy so is no longer as useful.